In her TRACES exhibition at Hull Central Library artist Debi Keable explores ‘ghost signs’, those fading shop signs often found on the apexes of old buildings. Travelling Trans-Pennine, from Hull via Leeds to Blackpool, TRACES imagines the remains of these palimpsests through another faded advertising material, neon light. TRACES invites audiences to reflect on the city’s changing face – whilst developing maquettes for larger outdoor installation, material experiments, small-scale works, and also using the fabric of Hull’s Central Library Gallery. 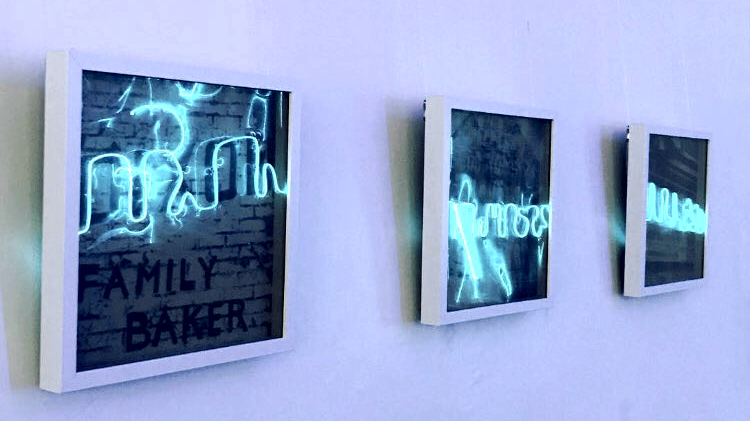 TRACES is a 3-city gallery show with touring elements, developed through Arts Council England’s funded LightLab. The exhibition is open now, and runs until early January, at Hull Central Library gallery space. Be the first to comment on "TRACES by artist Debi Keable"